Adenosquamous carcinoma (ASC) of the pancreas is a rare malignancy, associated with a poor prognosis after surgical resection, with reported median survival times (MSTs) ranging from 4.4 to 13.1 months. 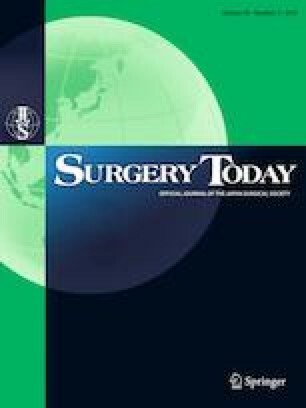 We conducted this study to investigate the long-term outcomes of patients after the resection for ASC. Between 2002 and 2016, a total of 456 patients underwent resection for ASC or adenocarcinoma (AC) of the pancreas. ASC was confirmed in 17 (3.7%) of these patients. We analyzed the clinicopathological characteristics and survival of these 17 patients in comparison with those of patients with AC of the pancreas. This study revealed longer survival and a higher R0 resection rate after aggressive combined resection in our ASC patients than those in previous studies. Although this was only a small series, our findings suggest that local control with aggressive resection may be an effective treatment protocol for ASC patients. Takaaki Ito and his co-authors have no conflicts of interest to declare.